B. Told me they were having problems of their own with Blogger. I am going to let my hubby look at the post with his "wysiwyg html editor". I think that's what he called it. and probably knows more about it than I do. When he fixes the mess I made, the post will be back up. 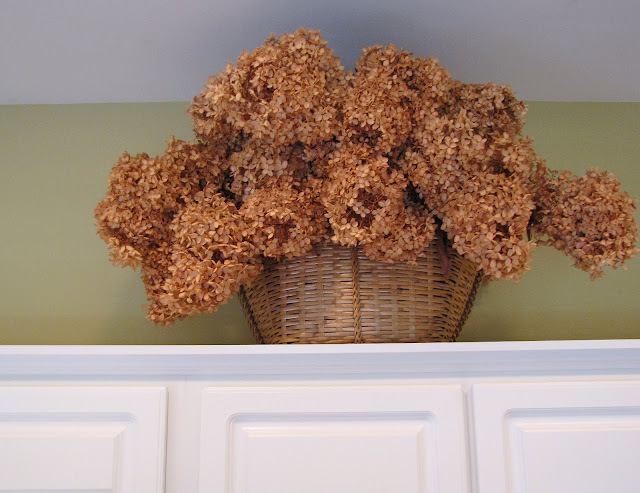 how I preserve, by drying, my delightful hydrangea blooms! Here in SC, in July, August and September, hydrangeas are ready to be enjoyed indoors. 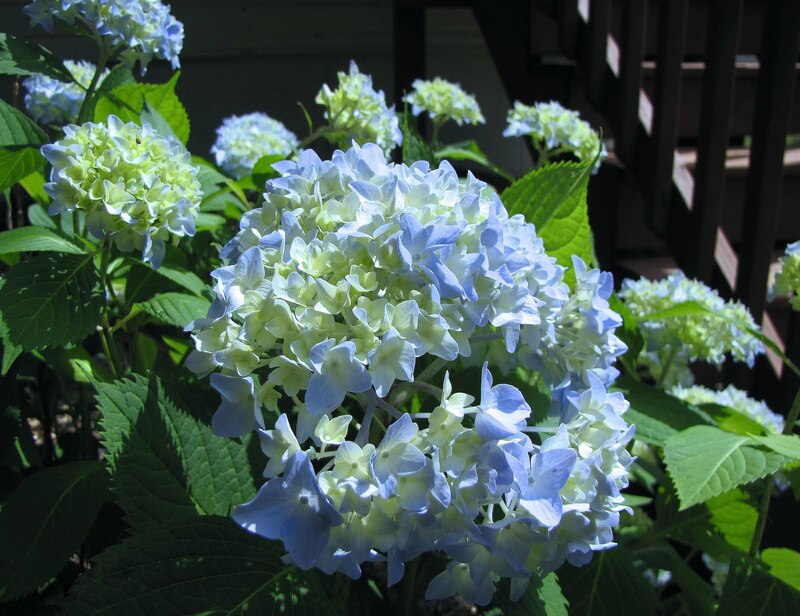 Our yard has several varieties of hydrangeas. Here are just a few of my favorites. This is a White Lacecap. 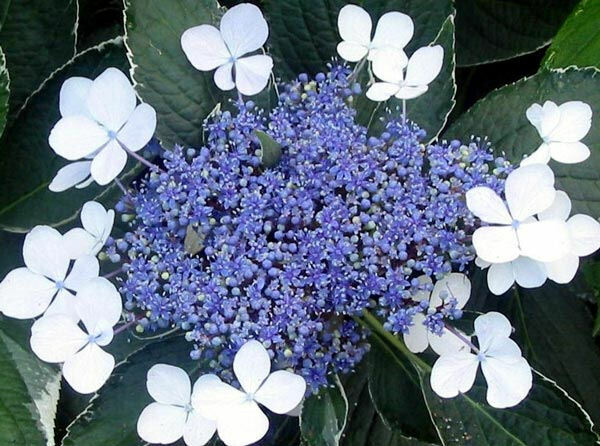 Another of our hydrangeas is the most well-known, the Nikko Blue. It looks like this when it first starts getting color. Then, turns darker blue after a few weeks, then purplish-blue a few weeks later. They are as stunning when dried as when they are alive. A few weeks later, and they have matured to this. Dried at the peak of color, they look like this. 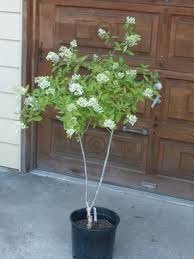 We also have a Compact Peegee Hydrangea tree. There is a center trunk, and the branches that support each head spread out to form a tree! It grows about 5-6 feet tall. It is an amazing and lovely thing. The flower heads are a HUGE 10"-14". over the course of 6 weeks! These, by far, are my favorite to preserve. This is a picture from a catalog. I just cut all the heads off mine, and she refused to smile for the camera. This is what she looked like as a baby. Cute, no? the heads go through color changes. 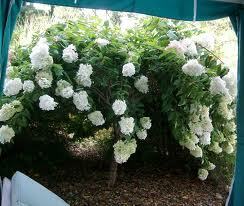 You can wait till the plant makes just the perfect shade, prune it, then dry it. that I just trimmed three days ago. The are quite large. And green. I cut them when they were this shade. They will dry this way. If I wait a few weeks, this is their color. In Miss A's room, on her blue vanity. And still more, in different hues. but I love the rich gold of the petals that blend with the basket they're in. 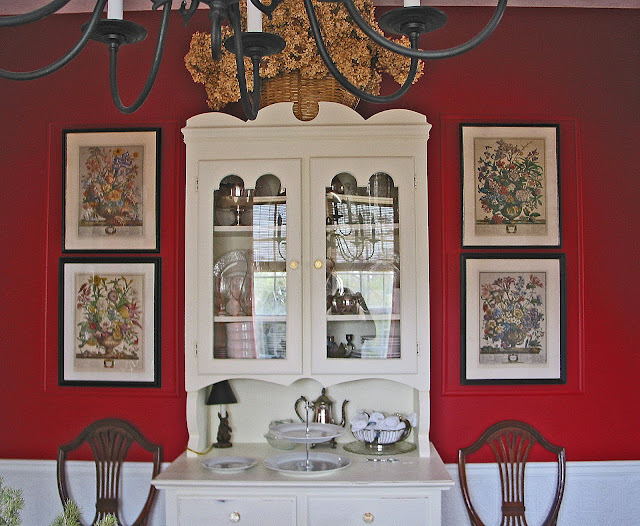 Same basket in the dining room. 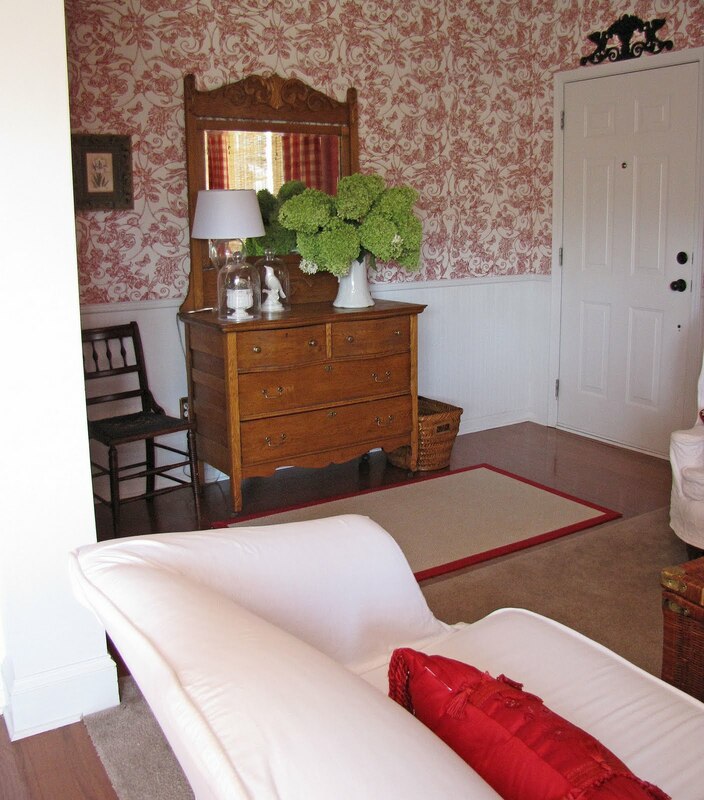 In the Master Bedroom., same tree, different container, lighter lime shade. 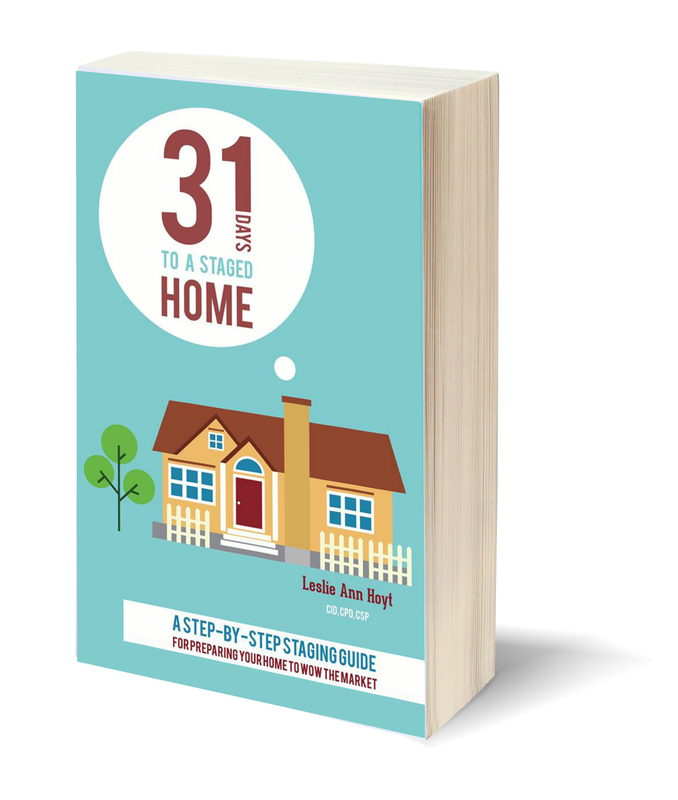 Own a living, blooming hydrangeas bush or two, or three, or four, or more. Now is the time to order them, so you can plant them, and have blooms next year. Find a container in which you wish to display your blooms. Wait until the blooms are the shade you desire. Early in the morning, while it is still cool in the garden, trim branches to desired length and arrange them in your container. No water. Let dry in the container. Done. I have tried many ways to persecute and torture dry hydrangeas. left them on the tree outside. But, the method above has been the best, and easiest way to preserve them. 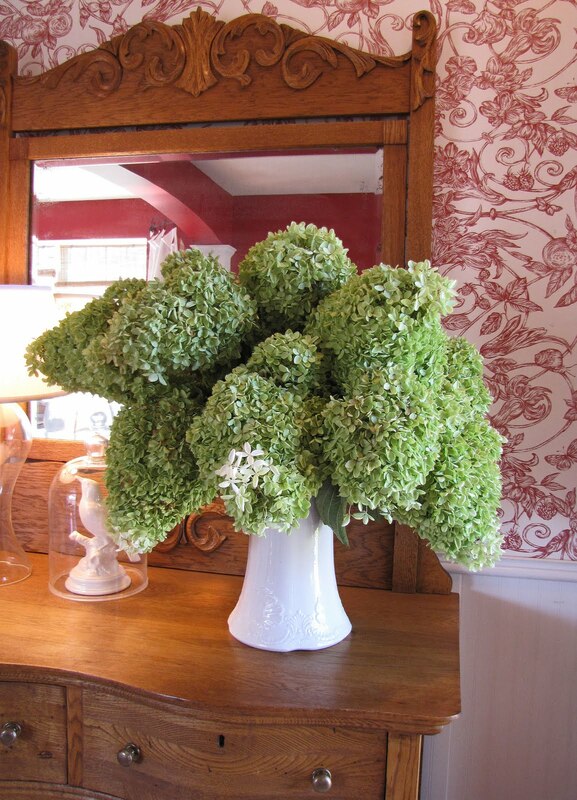 Oh my goodness I LOVE the green hydrangeas!!!! 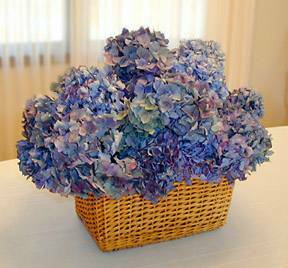 I have purchased dried green hydrangeas on ebay previously, but really need to find some more to freshen up some of my baskets!!! I am just loving those green beauties!!!! 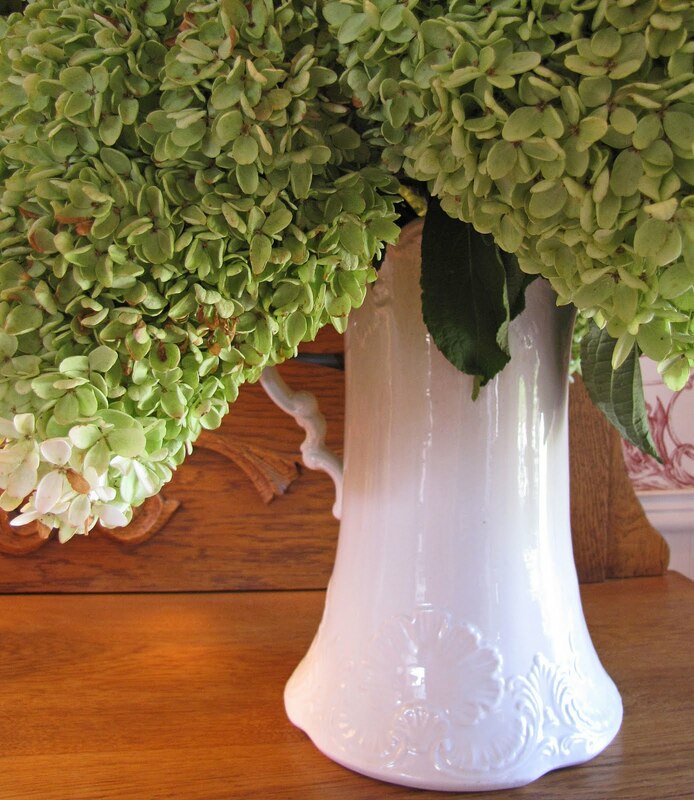 Do you sell your hydrangeas at all? 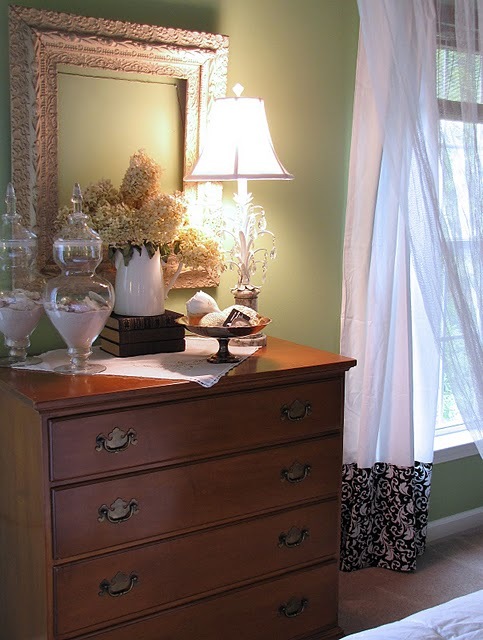 This is such a beautiful and simple way to decorate... and let's not forget that it's free! 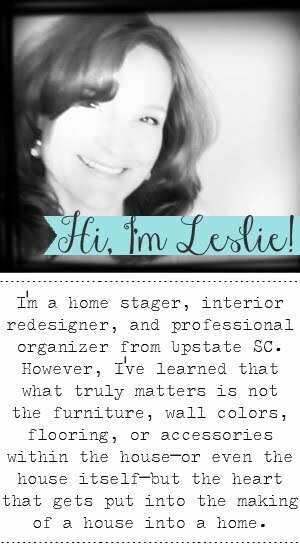 Thanks for more decorating tips Leslie! Beautiful, Beautiful, Beautiful!! Did I remember to say beautiful? I love them and don't have a single bush. If I read this correctly, they don't have to mature a few years to bloom? It seems like all of the hydrangeas in my neck of the woods whithered and died this year. Maybe it's my imagination, but we seem to have been hydrangea-less for a month. I love your dried arrangements, Leslie. Hi! I just found your blog through "Words on Wheels" and LOVE it! Can't say enough! 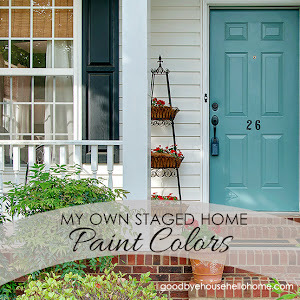 I need several hours to sit down and go through your previous posts and just drool over your gorgeous home! We have one of those lovely Hydrangea trees and I am going to dry some this year! Thanks for the advice!! My very favorite are your blue ones but then I love blue anything except moods. 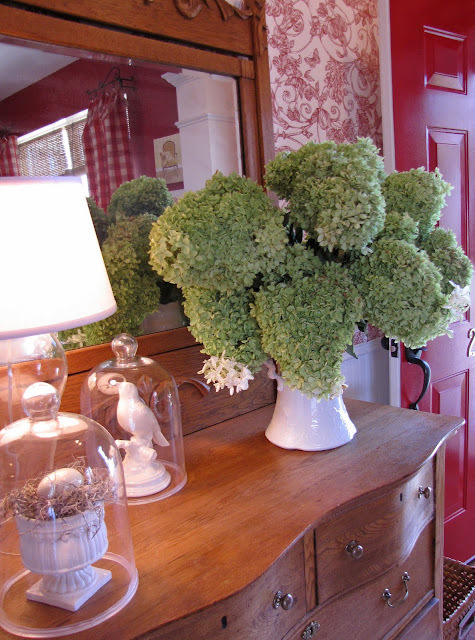 I have dried hydrangeas all over the house and never tire of them. I go to one church bazaar every November that sells them. I love that and can always add to my stash. They are already dried, in a bundle tied with twine. Thank you for sharing yours and making it look so lovely. I am determined to get my yard in order this fall so I will have tons and tons of hydrangeas! My favorite and your are gorgeous. I have 3 that never got in the ground and I hope I can nurse them back. Great minds think alike (check out my previous White Wednesday post) ~ I love all the different varieties in your garden. I have had my PeeGee Tree for 12 years now. We hack away at it every Spring and it still overtakes the front garden 6 weeks later. Wow... I didn't realize it was so easy to dry them! I missed mine at their peak color, darn! There's always next year. Yours look beautiful. Thanks for this post. My bush is full of blossoms and I did not have much luck with letting the water in vase with the blossoms evaporate. I will try it tomorrow. I don't know what i am doing wrong... I try it with water, without water... mine just wilt and don't dry ..?? Any ideas??? Your dried flowers are awesome. Really. I've never dried them but just a couple of week ago I tried rooting them and to my surprise, they are taking - didn't even wilt. I'm thrilled. I miss seeing these lovelies as they are not native to Thailand. 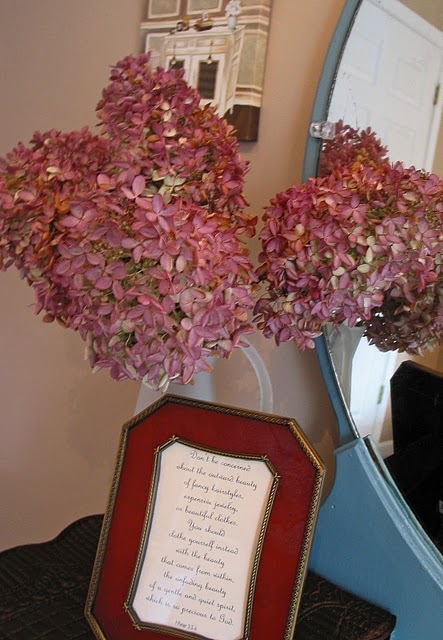 :( My son and his beautiful bride used Hydrangeas to decorate the old church that they married in last summer. Love and miss you, friend! I absolutely love all your hydrangeous. My fav are the fall looking ones. So beautiful! 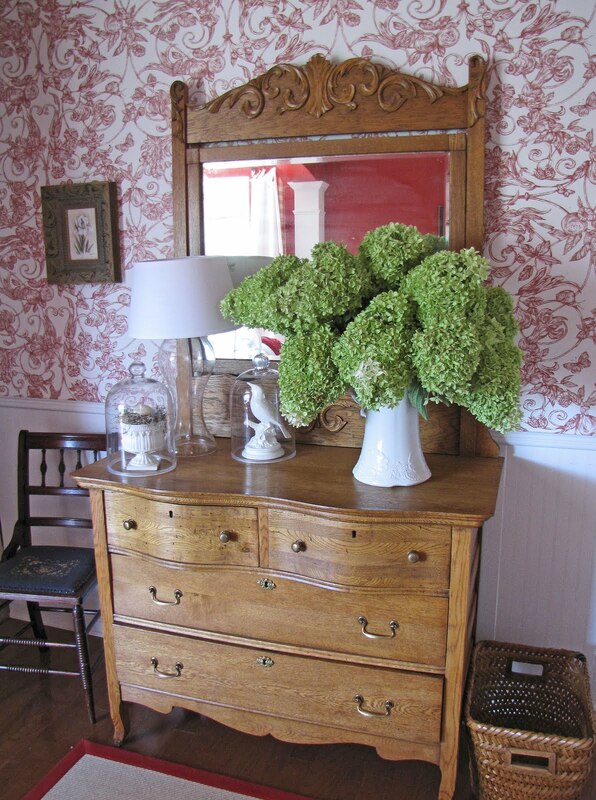 Hydrangeas are so great in any room. Love the green ones, especially! Hi. Visiting from Show & Tell Friday. I just love hydrangeas and have the same ones all over my house. The peegees are the best! Do you ever have them just wilt. I figure I must have picked them too soon. I just picked my peegees last night and made a fall wreath. I might show it in a post soon. 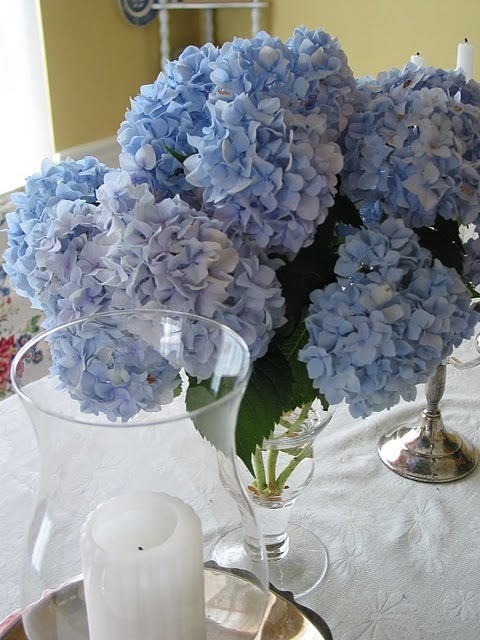 This post blew me away...I LOVE HYDRANGEAS..and I dry them also...started years ago with my Aunt having done this. So gorgeous! I too have the blue lace and just admire in the yard..but my Nikko blue also is my favorite. I keep one lovely stalk laid on my fireplace mantel. Still a lovely green/blue after two years! I just LOVE your blog! soo much in common! I too live in S.C.! Leslie that is exactly how I finally started drying mine!!! So glad to know I'm not the only one who tortured hydrangeas prior to figuring it out. LOL!